When possible, increase all data files and log files to their expected final size, or periodically increase these at set periods, for example, every month or every six months, or before rollout of a new storage-intensive site such as during file migrations. You must factor in the performance and operations issues associated with using autogrowth. 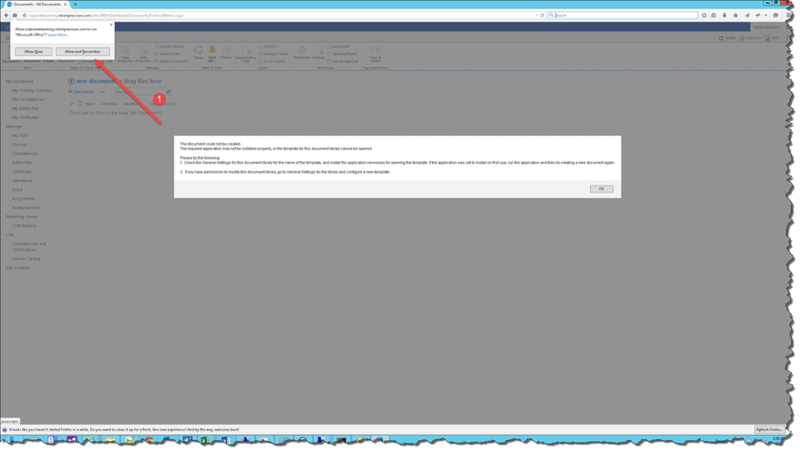 For more information, see Considerations for the “autogrow” and “autoshrink” settings in SQL Server. The default settings for a new database are to grow by 1 MB increments. Because this default setting for autogrowth results in an increases in the size of the database, do not rely on the default setting. Instead, use the guidance provided in Set SQL Server options. 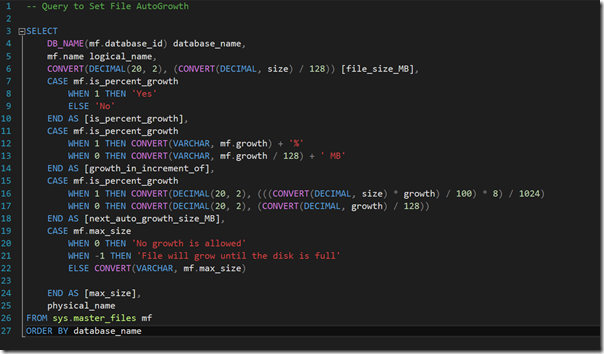 Set autogrowth values to a fixed number of megabytes instead of to a percentage. The bigger the database, the bigger the growth increment should be. Consider for example, a scenario where content is gradually increased, say at 100MB increments, and autogrowth is set at 10MB. Then suddenly a new document management site requires a very large amount of data storage, perhaps with initial size of 50 GB. For this large addition, growth at 500 MB increments is more appropriate than 10MB increments. For a managed production system, consider autogrowth to be merely a contingency for unexpected growth. Do not use the autogrow option to manage your data and log growth on a day-to-day basis. Instead, set the autogrowth to allow for an approximate size in one year and then add a 20 percent margin for error. Also set an alert to notify you when the database runs low on space or approaches a maximum size. Maintain a level of at least 25 percent available space across drives to accommodate growth and peak usage patterns. If you add drives to a RAID array or allocate more storage to manage, monitor capacity closely to avoid running out of space. 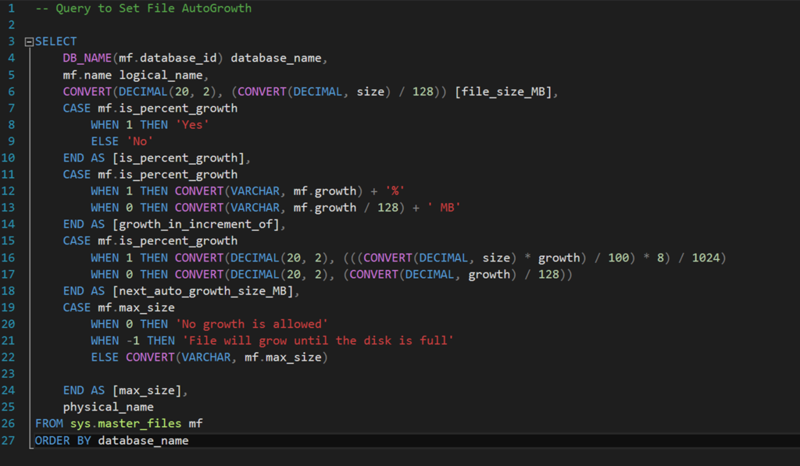 Setting autogrowth to use MB verse % along with changing the autogrowth MB size will create less fragmentation than using the defaults, this SQL Query makes it easier to modify a large number of Dbs. It appears to be an IE issue when clicking on the New Document Drop down from the ribbon using fiddler4 there are not any results returned, probably jscript or jquery … I am running IE11 and I have tested IE10 which exhibits the same behavior. I haven’t tested on earlier versions yet. 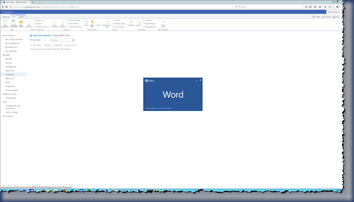 However, if you open with Mozilla the Microsoft Office is blocked until you Allow Mozilla to open Office Documents and then Default open behavior for browser-enabled documents works as expected. In other words when the library is set to open ion the browser (via WOPI) the documents open in the browser, when set to open in the client application, the docs open in the client as expected.. 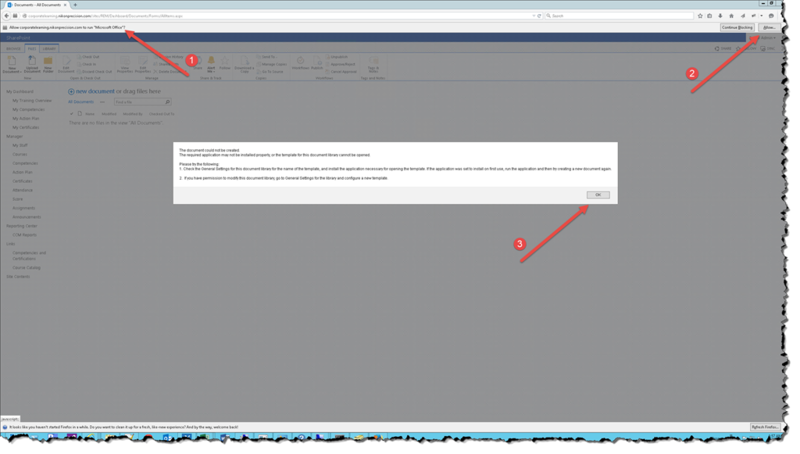 Note: The Site Collection Feature – Cross-Farm Site Permissions is activated on both Farms, the cross-farm site permissions feature to allow internal SharePoint applications to access websites across farms. 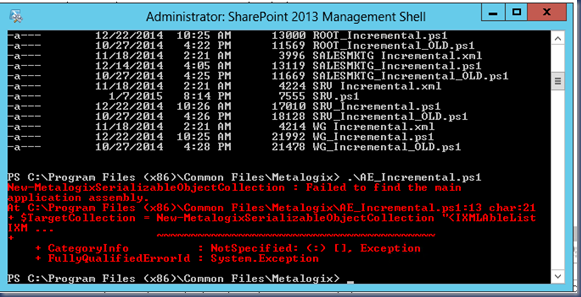 If you have upgraded from a previous version of Metalogic Content Matrix SharePoint edition or have multiple Content Matrix editions (SharePoint, Fileshare, Blog) deployed you may receive the error “Failed to find the main application assembly” when attempting to run any of your PowerShell Copy Job Scripts. 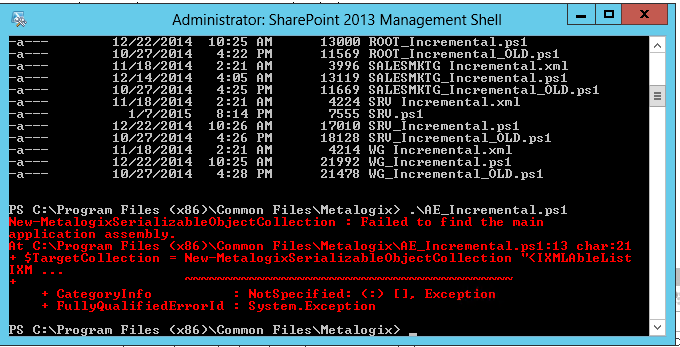 If you are not running the Metalogix copy jobs in PowerShell you will not be affected by this issue. The resolution that worked for me was to uninstall Metalogix Content Matrix Consoles, Content Organizer and the Content Matrix WSPs. Open a command prompt in admin mode and run Gacutil /lr > E:\Apps\gacutil.txt to pipe the contents of the GAC to a txt file to review. 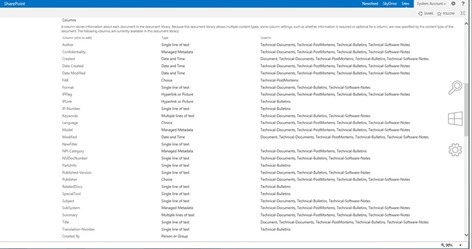 In one environment I found two assemblies were not being removed Metalogix.System.Commands.dll and Metalogix.SharePoint.Adapters.StoragePoint.dll. The setup uses Installutil and was unable uninstall the two assemblies listed previously. As I mentioned above, If you are not running the Metalogix copy jobs in PowerShell you will not be affected by this issue. But if your not running the copy jobs in PowerShell you should be; the jobs run at least 2x faster and you can set up a schedule in Task Scheduler to run your incremental jobs daily. This means that when its time to cut over,its very anticlimactic as the site admins, department admins, and end users have verified their content has been successfully migrated, they have time to get used to the new look and feel, and started using the new features prior to Go Live. 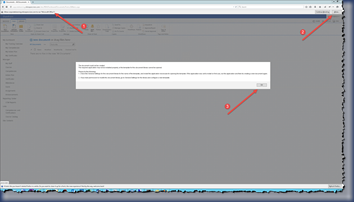 SharePoint 2013 Migrations, Are you having fun yet?? However, there were two time consuming steps that didn’t have anything to do with the mechanics of the migration or the technology like moving WebParts, Pages, Items, Documents and creating Site Collections from Sites in Additional Content DBs. 1.The conversion of the Binary File Format documents to the OpenXML File Format. 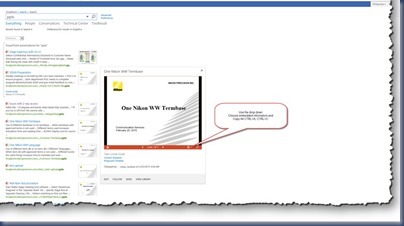 Luckily, there were two sources of information that made this easier but still not painless Waldeks Post – Building Global Navigation in SharePoint 2013 http://blog.mastykarz.nl/building-global-navigation-sharepoint-2013/ (it works) and the WAND Library. Unfortunately, though I have access to the Library the client did not choose to purchase the subscription so we didn’t get to take advantage of the huge library of terms. WAND has started offering its entire catalog of taxonomies from the cloud, where you have the ability to subscribe monthly and download the parts that your Client needs to either start their taxonomy or fill out their taxonomy. I have just been through a relatively easy migration 8 Content Dbs and a small 1TB of Content. The largest notable part missing, though metalogix will help you modify Multi-Choice Site Columns to Managed Metadata Site Columns In-Flight, there are NOT ANY migration products that will convert your binary File Format documents to the OpenXML File Format. 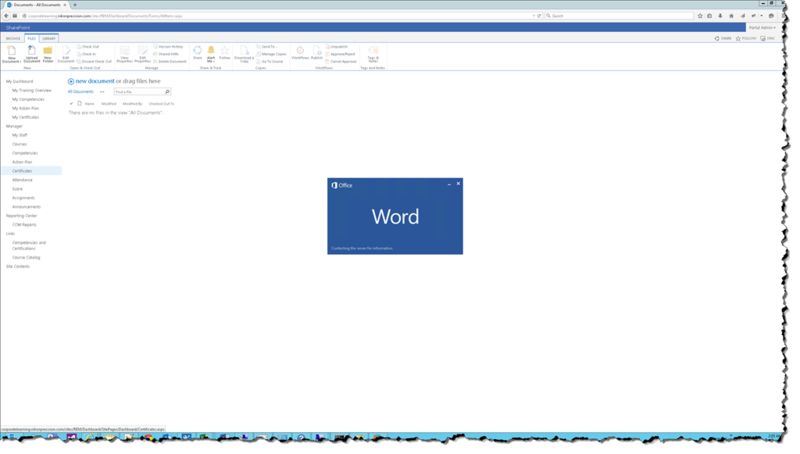 The Microsoft tools like Office Migration Planner will not work with a mapped drive using WebDav, but you can still use PowerShell though we found it was actually better to use a staging Farm, Convert all of your Documents using Word Automation Service. then perform a final migration where we modify the columns In-Flight to take advantage of the managed Metadata Site Columns. 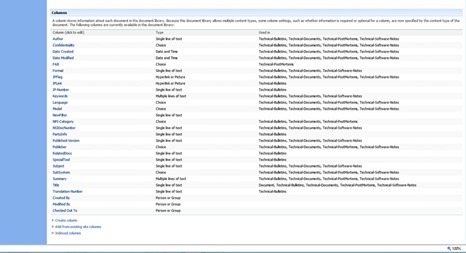 This is important, if you want to take advantage of changing the Multi-Choice Site Columns to managed Metadata Site Columns In-Flight. Because if you have not converted all of your RTFs, HTMs, DOCs to DOCX then you will lose the metadata associated with these documents. The updated version of Service Pack 1 has been released today! NOTE The KB articles for the re-released Service Pack is different from the recalled Service Pack. 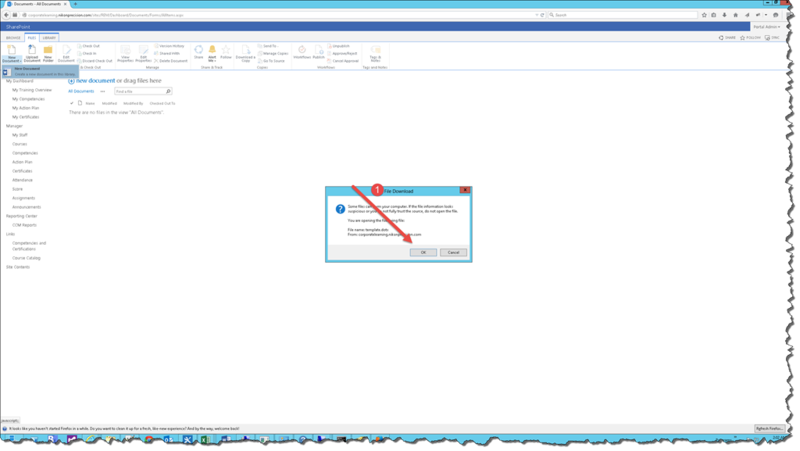 For customers who have previously deployed Service Pack 1, download the updated Service Pack 1 and install over the existing Service Pack 1 running PSConfig or PSConfigUI immediately following. 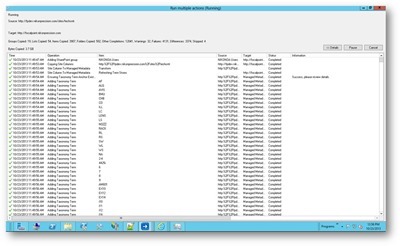 For customers without Service Pack 1 deployed, download the updated Service Pack 1 package and deploy as per the KB documentation. There is no update to the integrated ISO ("slipstream") from MSDN, VLSC and MPN as it was not affected by the issue. Reference: see official announcement in Bill Baers blog post. “Notice:We have recently uncovered an issue with this Service Pack 1 package that may prevent customers who have Service Pack 1 from deploying future public or cumulative updates. As a precautionary measure, we have deactivated the download page until a new package is published. I would like to thank Andy Williams the Nikon TAM (Microsoft Technical Account Manager), for bringing this to our attention Thursday. Unfortunately, we are affected since we have deployed SP1 to All DEV and PRD Servers. The only good news (I guess) is that our topology consists of Standalone farms for both WAC and WFM. 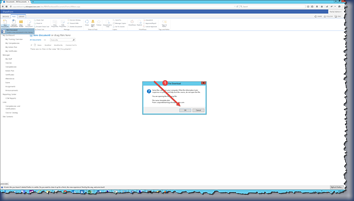 You may want to also check out Todd’s post http://bit.ly/OjfHAk as he states that Bill Baer has said that the ISO downloaded from MSDN does not have this issue. O’Reilly Media spreads the knowledge of innovators through its books, online services, magazines, research, and conferences. Get the information you need from the experts you trust; visit oreilly.com to purchase this book. Get 40% off of the print book and 50% off of the ebook version of this book by entering discount code AUTHD. I recently posted on my disappointment of metalogix due to the continual system crashes. The crashes have been resolved and occurred in version 6.2.0.1 There were numerous errors removing version 6.2.0.1. However, all issues have been resolved in version 6.2.1.1 and greater. After resolving the issues I wanted to check out the inflight creation of Managed Metdata Field migrated from SP2007 MultiChoice Field in flight. The new Managed metadata Field was created along with the term set based on the old SP2007 MultiChoice Field. However, there is an issue that is not handled in Flight if you have any .DOC files (the old Binary format Office Documents) you will lose all of your, metadata. $job.Name = "Convert Docs to Docxs"
$timerJob = Get-SPTimerJob "Word Automation Services"
Upgrade to new and improved version! Manually perform Data Retention in case your database reaches critical size. 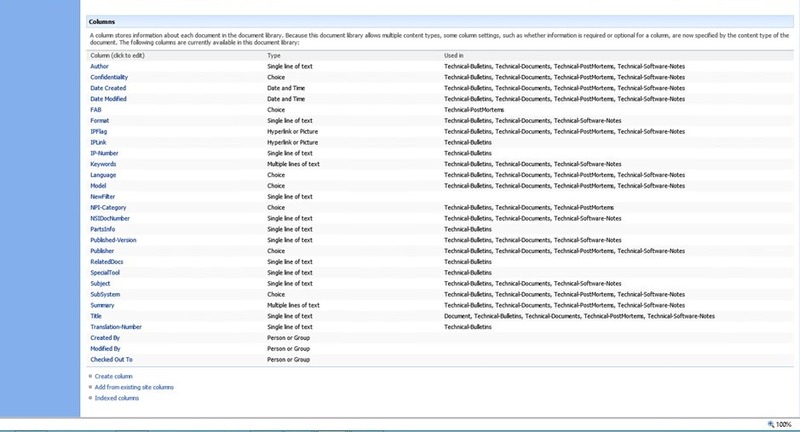 Improved performance of permissions load when working with large AD groups. Best Practices now support Foxit PDF iFilter. Decided to move to cloud? 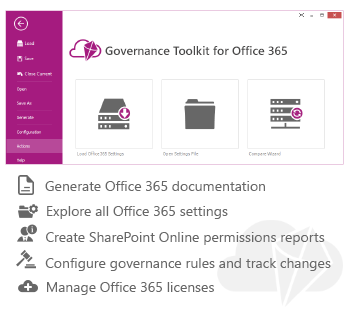 Use Governance Toolkit for Office 365 to gain complete control over your Office 365 environment and check if Office 365 runs according to the governance rules you specified! Existing customers should navigate to Customers Portal to download new version of SPDocKit. Still don’t have a license? Download 30 days free trial and try all great features that our new product brings. 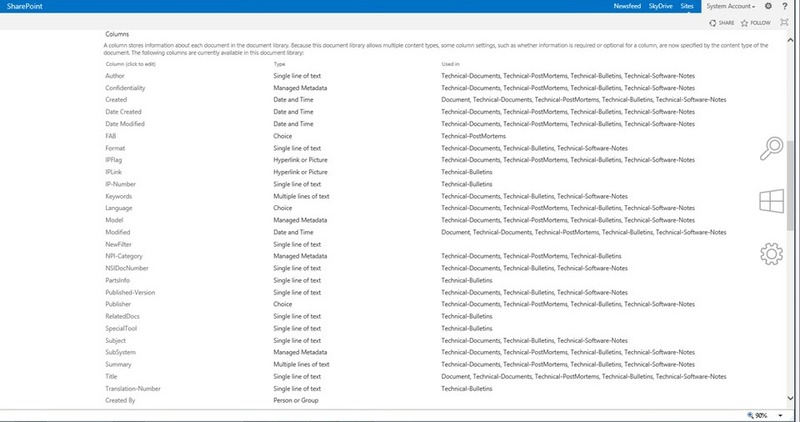 Governance Toolkit for Office 365 is licensed per tenant and number of users. Check pricing page to find Edition that best suits your needs and budget. Feel free to contact us for any question you might have. 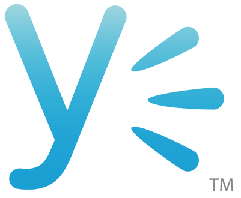 Microsoft has gone social in a big way with Yammer – but are you ready for it? A successful social solution must give end users the foundational tools needed to effectively collaborate with coworkers, clients and partners while maintaining control of access, security and content. Each business has a different sweet spot when it comes to creating an engaging social environment that drives collaboration and meaningful dialogue. An enterprise social network’s success is dependent on unearthing your employees’ key motivational drivers, aligning the solution to your company’s culture, your vision for leveraging cloud-based solutions, and tailoring a strategy to fit. In this session, we will be taking a look at what planning for Yammer success really entails, and the importance of a social maturity assessment, community use case planning and a communication plan. 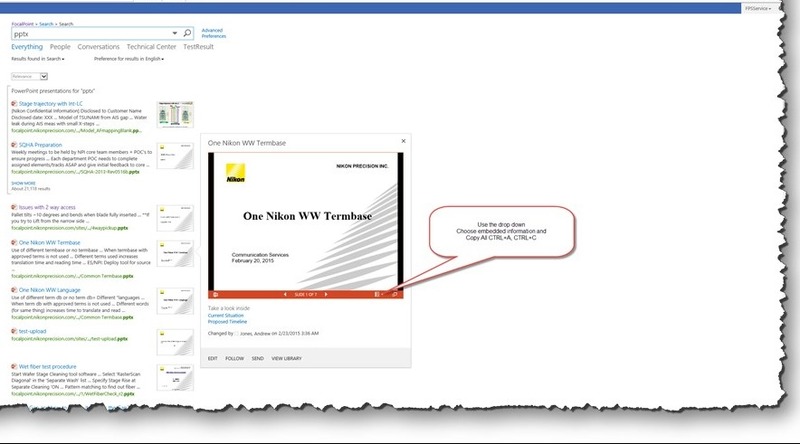 We’ll also discuss the value of a Yammer pilot, or SharePoint social on premises where appropriate. Presenter Rich Wood is Director of Perficient’s national Microsoft Web & Social Collaboration practice and has been planning, designing and building enterprise solutions for intranets, extranets, and public internet sites since 1997. A veteran of both the SharePoint partner community and Microsoft itself, Rich has deep experience in information architecture, user experience, social collaboration, and enterprise architecture and technology strategy.